Neither Roald Dahl nor his beautiful wife Patricia paid much attention amid the din of the downtown traffic. Yet the wail of the sirens they heard that December lunchtime in New York would remain with them for the rest of their lives. A short while earlier, a yellow taxi had careered around the corner from Madison Avenue, narrowly avoiding a young nanny, Susan Denton, but smashing into the pram she was pushing. The driver had pressed the accelerator, not the brake, sending pram and baby 40ft through the air. And as the Dahls would learn to their horror, the ambulance they heard was rushing their own son, four-month-old Theo, to hospital with a shattered skull. Doctors diagnosed such severe brain damage that they were in no doubt he would die. The catastrophe was a turning point. 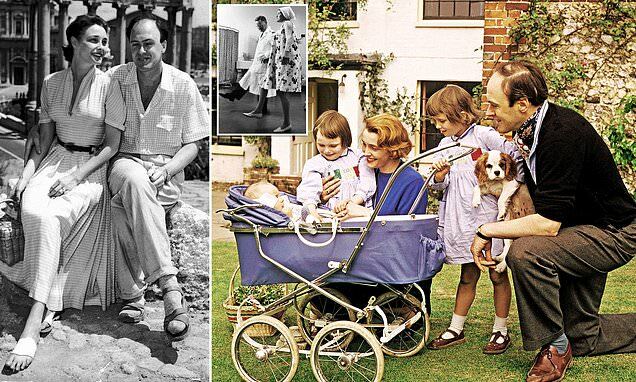 Married to a Hollywood starlet and on the brink of real fame and fortune as a children’s writer, Dahl had already led a life not merely improbable, but charmed. He’d survived an horrific plane crash in the Libyan desert; braved steep odds as an RAF fighter pilot and emerged a hero. Invalided out of active service, Dahl was made air attache to Washington, where he slept with the wives of the rich and influential in order to obtain information for the British security services. Now this run of luck had come to a shattering halt – the first in a series of tragedies to beset his children and his marriage. From this point onwards, Dahl would come to believe he and his family were cursed. The wedding of Roald Dahl and Patricia Neil in 1953 had seemed impossibly glamorous – a dashing 6ft 6in former fighter pilot matched with one of the leading Tinseltown beauties of the day.